Peel, wash, remove seeds, and slice butternut squash into thin strips. Coat cut squash with lard or butter. 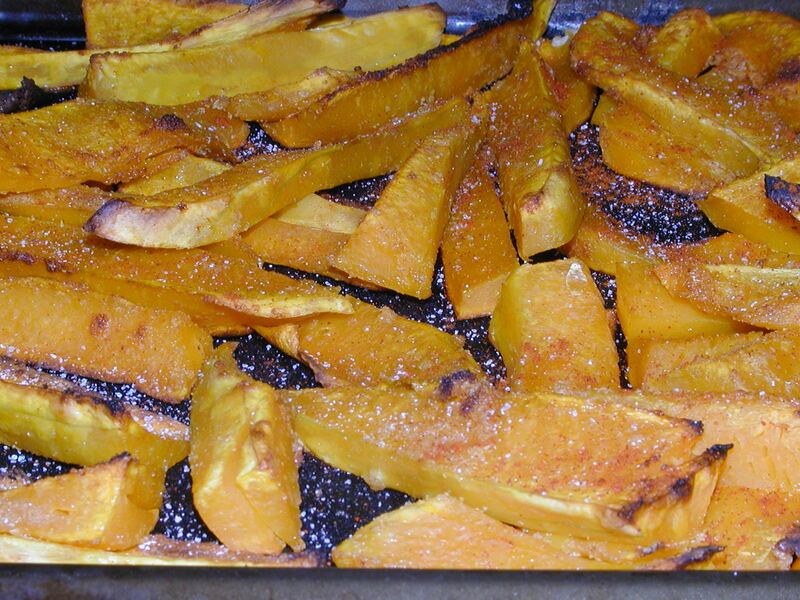 Spread out coated squash on cookie sheet. Sprinkle with salt, garlic powder, and cayenne pepper. Bake at 450 degrees Fahrenheit for 40-45 minutes. Let cool somewhat, then toast for another 5 minutes until crispy. Enjoy!